Contemporary display showcasing premium collectibles from the legendary Wayne Gretzky and Oilers captain Connor McDavid. 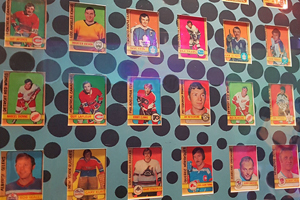 In the centre of the exhibit resides the Island of Cards, with hundreds of hockey cards on display. The Hockey in Popular Culture Exhibit. 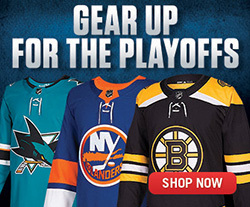 There is an incurable addiction tied to hockey. No one can explain exactly why it occurs or how widespread this addiction can be. The addiction, of course, is collecting hockey memorabilia, and the Hockey Hall of Fame pays tribute to the passion of collecting with an exhibit called Upper Deck Collectors' Corner. 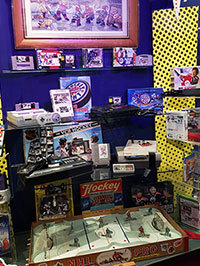 Among the exhibit highlights is a modern view of premium collectibles from the legendary Wayne Gretzky and Edmonton Oilers captain Connor McDavid. 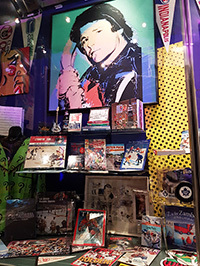 Enclosed in this contemporary display are some unique collectibles such as an autographed Tegata piece, with Gretzky's hand print, a signed shadow box entitled 'Centre Ice', an inscribed replica of the Stanley Cup and a Vancouver 2010 Olympic Torch replica box set. Also featured is a framed picture entitled "The Show" and authentic autographed McDavid memorabilia including a jersey, acrylic stick blade and puck, gloves and skates. In the centre of the exhibit resides the Island of Cards. Many fans first discovered their love of the game in the form of hockey cards. Early cards were distributed by tobacco and match companies, and a collection of Diamond Match cards from the mid-1930s is displayed to illustrate the early history of card collecting. Cards from O-Pee-Chee, who started producing hockey cards in 1934, and modern-day industry leader, Upper Deck, are also displayed. The Island of Cards offers an unique look at the evolution of the hockey card, from humble beginnings to a multi-million dollar industry. 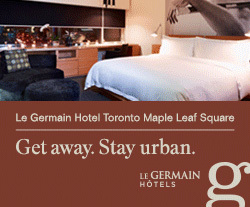 The surrounding walls house the Hockey in Popular Culture Exhibit. 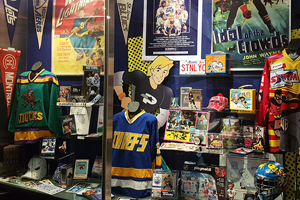 A display that shines a light on some of the ways the world of hockey has intersected with popular culture throughout the years, offering a one-of-a-kind glimpse at the way our game has been depicted in film, television, music, literature and more. Be it through John Wayne’s portrayal of a hockey player in the 1937 film Idol of the Crowds, the famed The Hockey Sweater book, or the cult classic Slap Shot movie, hockey has always had a special place in popular culture. Even television shows such as The Simpsons have made hockey-themed episodes and recording artists including Stompin’ Tom Connors and The Tragically Hip have each penned odes to their favourite frozen pastime. 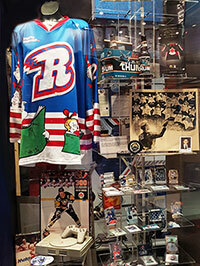 Upper Deck Collectors' Corner will make you smile, evoking memories of your own hockey collections. Then again, it may also make you wince, remembering the items you collected as a youngster that long ago found their way into yard sales or torn on the spokes or your tricycle. depicted in film, music, games, literature and more.